As an international media group with 6800 employees in 30 countries, Schibsted contributes to quality journalism with the main focus on Norway and Sweden. The company has its headquarter in Oslo, Norway and is listed on Oslo Stock Exchange. Schibsted’s present activities are media products such as newspapers, online classifieds, publishing, multimedia and mobile services. In close cooperation with the product owner, N-iX dedicated PHP team fully developed three high loaded (about 60 000 unique visitors every day) web-projects with a responsive design: sysla.no, maritime.no and iLaks.no. Our team is also responsible for projects support and all the updates including A/B testing, Mixpanel and Google Analytics integration. Recently our dedicated development team was extended with two mobile developers working on Schibsted mobile applications for iOS and Android. These applications will facilitate reading of Schibsted media content on mobile devices and provide customized push notifications. In May 2015, sysla.no, one of the websites developed by N-iX team, was nominated for Norway`s best niche site of the year award. Schibsted Norge AS was established in 2012 and includes VG, Aftenposten, Bergens Tidende, Fædrelandsvennen and Stavanger Aftenblad media houses, running several popular web-sites such as sysla.no, maritime.no, iLaks.no and other resources dedicated to Nordic businesses, oil and energy, aquaculture and fishing, shipbuilding, shipping and marine industry. Sysla.no started in March 2014 and is focused on oil and energy, people, events and issues that influence the industry. Sysla Grønn will particularly focus on businesses engaging in renewable energy and energy efficiency. The changes happening in international energy production have a great impact on companies both along the west coast of Norway and at an international level. Maritime.no strives to be the leading news provider of maritime news in Norway, and covers the news need for the professionals in the industry, as well as increasing awareness and knowledge of the maritime industry in Norway. iLaks.no is an independent newspaper with a focus on salmon farming. 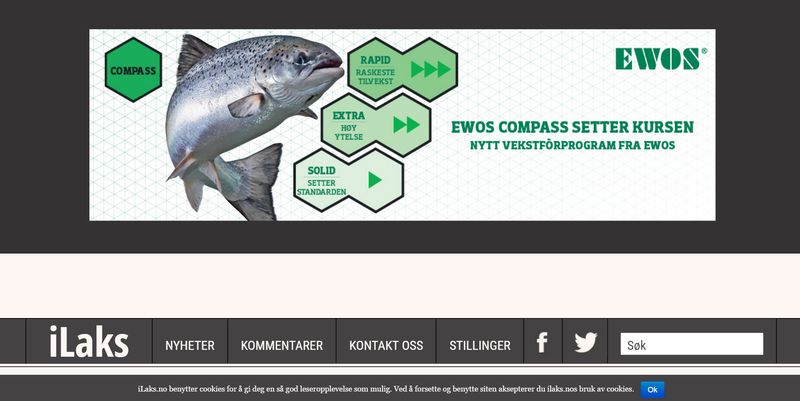 The core of the editorial content will be business journalism in the entire value chain for salmon. Despite its name, iLaks.no should not exclusively write about salmon, but also to report, analyze and comment on other protein species, businesses and activities that are relevant to an understanding of the dynamics of salmon industry. Offshore – Offshore.no is Norway’s leading news site covering the oil- and offshore market. The site covers such aspects as finance, careers, rig market, field market, new and expired contracts as well as the general landscape for Norway’s primary industry. Jobb Service – A common platform for employers to market their vacant positions to their core candidates.